Looking to leave a lasting impression with provocatively vibrant web and mobile designs? At Nonstop Corporation, we create inspirationally simple, provocatively vibrant mobile web designs to help clients leave a lasting impact on the users. You may create unique and distinctive mobile or web design with our professional team of web designers. We live in such a times when advancement in technology takes place at a geometric progression. A good user experience is the factor which can help to differentiate your mobile app and website with that of others. On the other hand, a responsive web design has become a rule in the realm of web design arena. Companies in order to attract maximum traffic from the users need to have mobile friendly website. 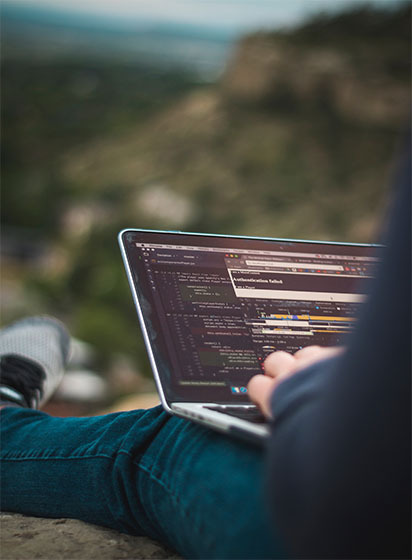 Nonstop Corporation has a team of web designers who design websites exclusively for mobile phones and desktop computers. 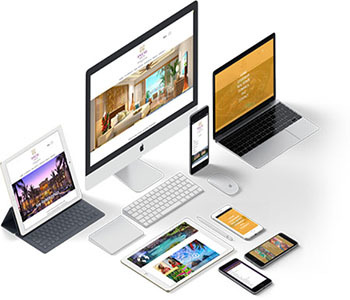 As the internet usage is growing day by day, our designers make sure that your website functions well across multiple devices whether it is mobile phone, tablet computer or desktop computer. To enhance the responsiveness of your website, we integrate the designed sites to social media and also encourage more and more visitors to subscribe to your email and newsletter. Thus, we endeavor to make mobile web experience less frustrating and much easier. In this competitive business market, one cannot settle for a flat web design. The minimalist user interface design is evolving or developing into something that is favorable for material design and mobile interface. We have the team of web designers who adhere to the rules of Google and other search engines when it comes to material design. The design of the site will be as per the mobile users such that the users may browse through it comfortably and enjoy fabulous motion experience and visual experience. The tactile experience will be worthwhile when we employ a lot of layering, subtle gradient or outstanding animation techniques. In the recent times, micro-interaction is the trend being followed. It is an engagement technique which is getting popularity. Various sites implement micro-interaction features. We will make sure to include a small box whereby the user will be asked to subscribe to the newsletter and everything else will appear faded. We are in this IT market since years. Till now, we have worked in more than 50 complex web designing projects and accomplished them with ease. We design attractive websites for businesses of all sizes. We stay updated with the modern technology to create attractive web and mobile designs. Every second there is some change in the IT world and we stay updated. We offer outstanding customer care services and are willing to answer every question of yours. You may also get in touch with us on Skype.